This content is provided by Ellen Pesch. 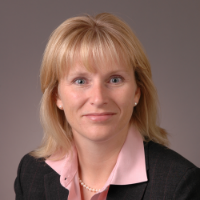 Ellen Pesch is co-leader of the OTC Derivatives industry group at Sidley. Ellen has more than 20 years of experience representing capital market participants with respect to structuring, negotiating and documenting derivatives and structured finance transactions. She has represented clients in a wide variety of derivatives transactions ranging from interest rates, currencies, commodities and credit to total return, inflation, weather, catastrophic and mortality/longevity transactions. Ellen also has significant experience with the various Dodd-Frank regulatory issues as they impact the derivatives market, as well as the regulatory issues associated with the intersection of the insurance and derivatives markets. Ellen is an active participant in various committees of both the International Swaps and Derivatives Association and the Securities Industry and Financial Markets Association.